A new year means new trends will take hold. Design, particularly in the home, is always evolving. It’s what keeps homeowners guessing and interior designers working. 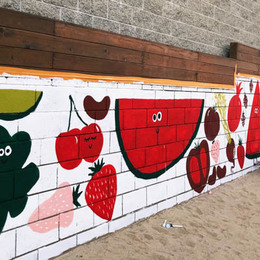 We took a look at what designers and trade publications are predicting and selected the five biggest trends you can expect to see in 2019. Darker, moodier tones will be more prominently featured throughout the home, reports The Washington Post. Some popular colors include navy, like our Singing the Blues (DET576) seen in this Los Angeles home, forest green, as well as black. 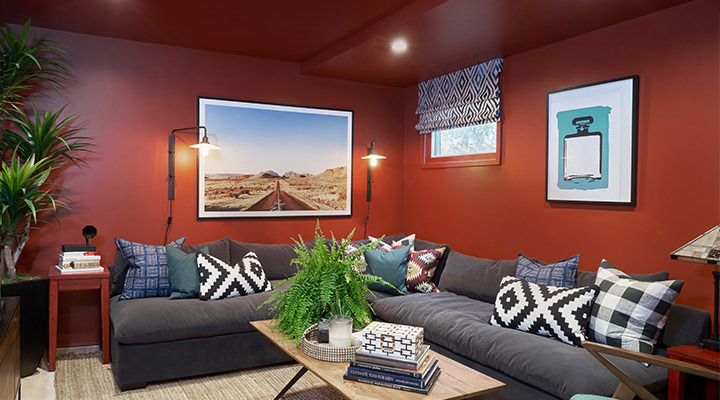 Instead of these tones being featured as accent walls, expect to see them cover the room, like interior designer Samantha Williams did here with our 2019 Color of the Year. 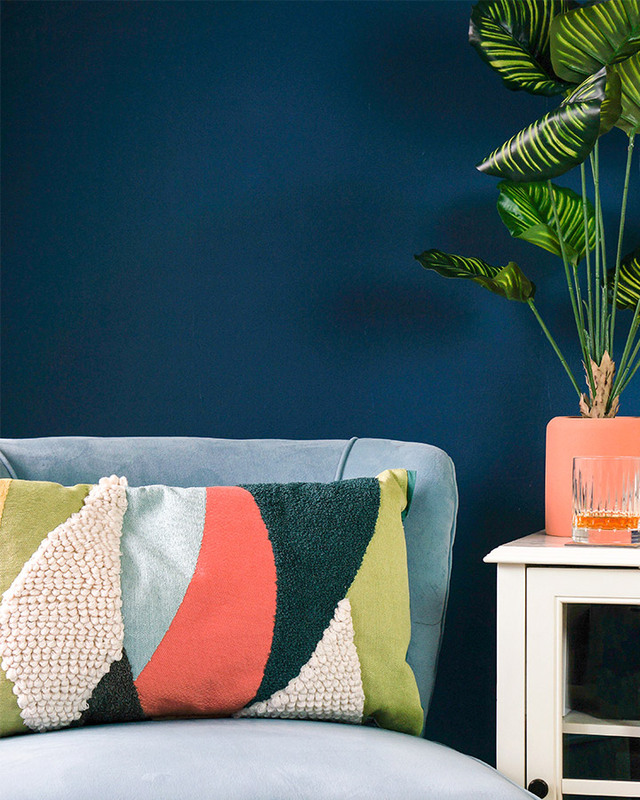 Those bold, moody colors may also be popular with a bit of extra sheen, reports Refinery29, with applications of high-gloss paint. As people seek to make their space feel more comfortable,they’ll add a variety of textures to create depth and interest. 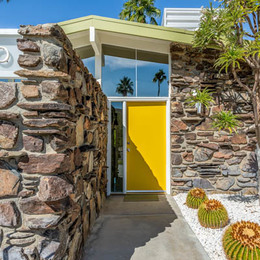 Houzz’s home design trend report for 2019 predicts several textures, such as leather, wood, and suede, are likely to all be featured in the same room in the new year. Kitchens and bathrooms are getting more colorful. White cabinetry reigned supreme for many years, but according to Houzz, creams will take the place of white. Softer creams create a warmer feeling compared to bright whites we’ve seen for so many years. Bold cabinet colors, like emerald and black are expected to be a popular way to add drama in the kitchen. Need some inspiration? 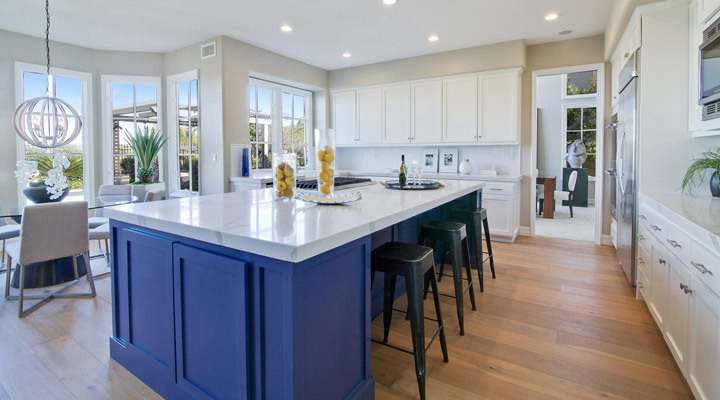 Check out these colorful kitchens using 2019 trends. 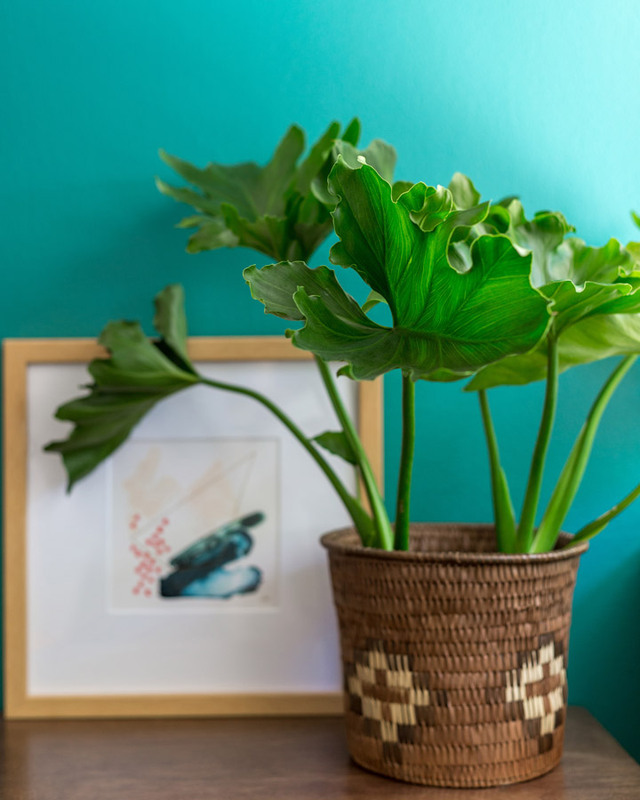 Greens of many shades are becoming popular as people look to bring tranquility and a connection with nature into their residential spaces. We’ve seen lime greens on the fashion runways and emerald and forest greens emerging in interiors. 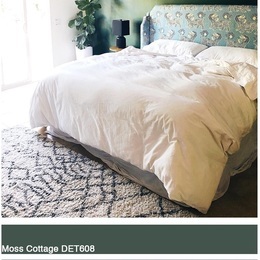 Inspiration from lush greenery and plants is something Dunn-Edwards color expert Sara McLean also pointed to in 2019’s Color + Design trend report. Usually, we don’t pay too much attention to ceilings, keeping them neutral and unnoticeable. 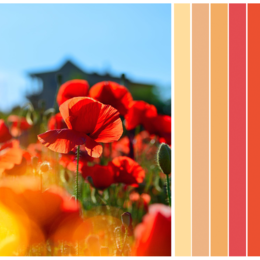 That’s about to change, because House Beautiful has declared plain ceilings “out.” Expect to see bold, moody paint colors, wood beams, and wallpaper used to make a statement on ceilings in 2019.